One of the best ways to attract new visitors to your WordPress website is to make it easy for your readers to share your content on social media. Most themes have some sort of social media functionality built in, but the features are typically rudimentary and rigid, allowing only the most basic of social media interaction with your readers. I’ve compiled a list of 6 great social media plugins for WordPress that will help promote your website and engage your readers. Some are free and some need to be purchased but all do a great job of sharing your website’s content on social media websites. This great free plugin from ThemeTrust gives you a widget for showcasing a clean and minimal set of icons for your favourite social media websites. There’s lots of options to customize too. 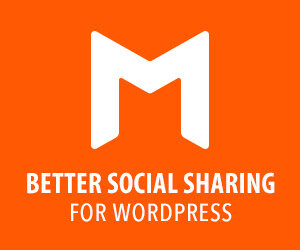 Elegant Theme’s Monarch Social Media Sharing plugin is hands down one of the best social media plugins available for WordPress. There are over 30 social networks to choose from plus great options for customizing the look of buttons, hover effects and some innovative ways to add sharing buttons to your website, including a simple floating sidebar and pop-ups or fly in’s. Stay tuned for a full review of Monarch later this week. An easy way to create an Instagram photo gallery on your WordPress website. This plugin includes a variety of ways to display your photos, including grid, list and full screen modes. There’s even an option to display multiple user’s Instagram feeds at the same time. A great way to display all of your social media feeds in one place. WordPress Social Stream creates a social network wall, allowing viewers to easily see all of your social media posts at the same time. This plugin includes support for 15 social networks and 60 different ways to display the information on your website. 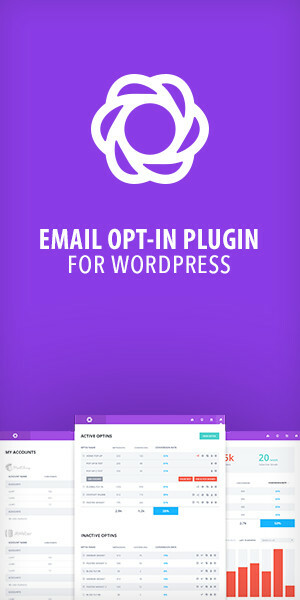 With support for 20 different social networks and an amazing array of options to customize the look of sharing buttons, this plugin is a great investment for anyone running a WordPress website. This plugin also includes advanced analytics, support for WooCommerce and Visual Composer. Arqam grabs the latest follower counts from all of your favourite social networks and displays them on your website. The plugin is 100% responsive, retina ready and highly customizable. Did I miss any great plugins that you just can’t live without? Let us know in the comments and we will include it on our next round-up of great WordPress social media plugins.